Guest blogger Jared Davidson asks how historians and others have measured and defined dissent, sedition and conscientious objection to military conscription during the Great War. The new statistics he arrives at will surprise you. Jared opens his blog with the numbers of individuals known to have opposed conscription (and compulsory military training) even before the declaration of war in 1914, and introduction of conscription in 1916. To foil the demonstration planned for his release, Wellington jailers freed William Cornish Jnr an hour early. No matter—his comrades threw two receptions for him at the Socialist Hall instead. 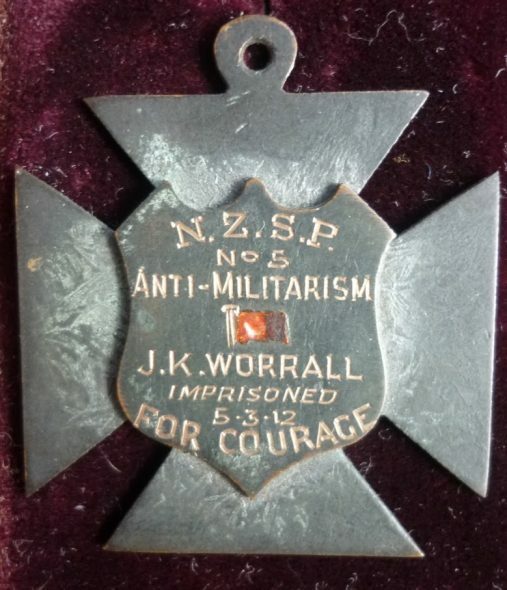 The first, held in August 1911, saw Cornish Jnr receive a medal from the Runanga Anti-Conscription League for his resistance to compulsory military training. The following night he received a second medal (like the one you can see above)—the Socialist Cross of Honor. It is not known how many of these unique medals were produced. By 1913 the Maoriland Worker had 94 names on their anti-conscriptionist ‘Roll of Honour’ and 7,030 objectors had been prosecuted. Te Papa holds #29, awarded to E.H Mackie, and at least one more exists in a private collection. As this and other examples show, dealing in numbers can be dangerous. Not only is there endless room for error, we risk being guilty of what novelist Ha Jin calls the true crime of war: reducing real human beings to abstract numbers. [i] Nonetheless, this post deals with the number of people who objected to the First World War—those known as conscientious objectors and military defaulters. How we define and count conscientious objectors is inherently political. For the state, ‘bona fide’ objection was extremely narrow, limiting it to members of religious bodies that had, before the outbreak of war, declared military service ‘contrary to divine revelation’. Defence Minister James Allen and the majority of his colleagues believed socialist or anti-colonial objection, or anti-authority types who wanted nothing to do with the state, were not genuine. More recently, conscientious objection has been limited to men called up for military service but who explicitly rejected it before an appeal board. Yet refusing to appear before a board or evading the military was still a conscious—if less visible—act. Whether we call these men ‘conscientious’ objectors or simply objectors doesn’t change the reality of their stance. It also misses those not eligible for military service. The starting point for most counts is a list compiled in March 1919. 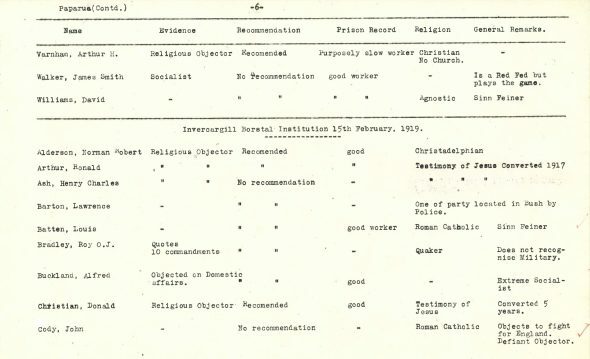 [ii] Initiated by Defence Minister James Allen, it was produced by the Religious Advisory Board, whose job was to establish which objectors still in prison were considered genuine and who were not. 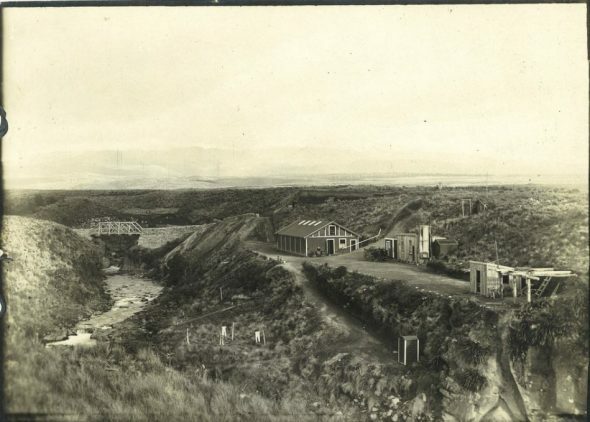 those who underwent punishment at Wanganui Detention Barracks: between 8 April 1918 and 31 October 1918, when the camp was shut down due to the mistreatment of prisoners, 188 men had been processed at Wanganui. [vi] Some, like Irish objector Thomas Moynihan, were eventually coerced into joining the Medical Corps after suffering extreme physical abuse. This suggests that at least 670 objectors were imprisoned within New Zealand. those who served in a non-combatant role: at least 20 objectors were performing non-combatant roles by 31 July 1917. [xi] Between September 1917 and January 1919 a further 176 objectors were transferred to the Medical Corps at Awanui—161 from Trentham and 15 from Featherston. [xii] Many ended up on hospital ships or the Western Front. objectors exempted from military service: at least 73 religious objectors were granted exemption; some of these ended up at Weraroa Farm or in other non-combatant service. Historian Paul Baker notes, in his 1988 book about New Zealanders, conscription and the Great War, that 1,097 defaulters were convicted by 1918 and that 538 were arrested. [xv] It is hard to know how many of these are included in the numbers above. But a more accurate number of those who were convicted or came under state control for wartime objection is somewhere between 1,500, and 2,000 people, with an upper figure of 3,000. 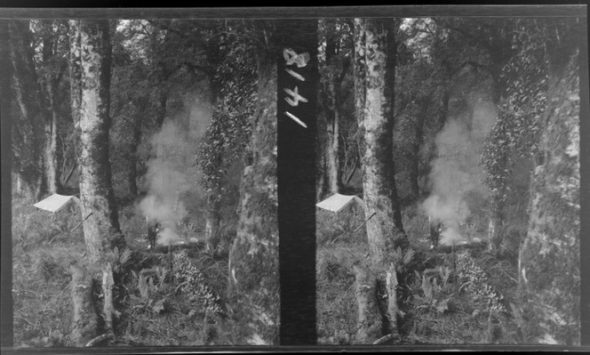 Stereograph of a camp site in bush area, with unidentified man standing next to camp fire, West Coast region. Photographed by Edgar Richard Williams. Ref: 1/2-144082-F. Alexander Turnbull Library, Wellington. According to Baker, the number of men who deliberately evaded service and who were never found was between 3,700 and 6,400. [xxi] This doesn’t include objectors classified unfit for service like Bob Heffron—later Premier of New South Wales—who allegedly smoked 12 packs of cigarettes prior to his medical (he was later smuggled to Australia in a ship coal bunker). When the number of those who evaded the state is added to the number of objectors convicted or who came under state control, the total figure is closer to 10,000 (or 5.3% of those eligible for military service). 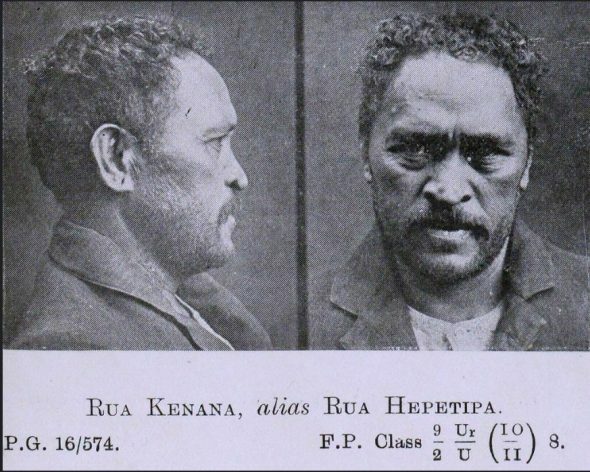 If we add this to the opposition of those not conscripted or not eligible to be conscripted—women like Sarah Saunders Page and Te Kirihaehae Te Puea Hērangi; anti-militarists like Carl Mumme; miners striking against conscription; or Dalmations resisting state-imposed labour—the figures suggest a significant number of wartime objectors who, for whatever reason, refused to ‘play the game’. The author of this blog, Jared Davidson, is an archivist by day and a labour historian by night. Also the author of two books on the intersection of power, culture and class, Jared is currently writing about domestic postal censorship during the First World War. Ha Jin, War Trash, London: Hamish Hamilton, 2004. ‘Territorial Force – Religious objectors advisory board’, AD1 Box 743/ 10/407/15, Archives New Zealand Te Rua Mahara o Te Kāwanatanga (ANZ). Paul Baker, King and Country Call: New Zealanders, Conscription and the Great War, Auckland: Auckland University Press, 1988, p.209. ‘Returns – Defaulters dealt with under Military Service Act’, AD1 Box 1039/ 64/28, ANZ; ‘Territorial Force – Religious objectors advisory board’, AD1 Box 734/ 10/407/15, ANZ. ‘Territorial Force – Employment of religious objectors on State farms’, AD1 Box 734/ 10/407/2, ANZ lists 21 names, while ‘Weraroa farm of conscientious objectors’, AD81 Box 5/ 7/14, ANZ records ‘about 28 men’. ‘Territorial Force – Defaulters undergoing detention and imprisonment’, AD1 Box 738/ 10/566 Parts 1 & 2, ANZ. ‘Territorial Force – Conscientious objectors sent abroad’, AD1 Box 734/ 10/407/3, ANZ. ‘Returns – Defaulters dealt with under Military Service Act’, AD1 Box 1039/ 64/28, ANZ. ‘Territorial Force – Religious and conscientious objectors’, AD1 Box 738/ 10/573, ANZ. New Zealand Expeditionary Force: its provision and maintenance, p.50. ‘Territorial Force – Religious objectors return of’, AD1 Box 724/ 10/22/15-20, ANZ. ‘Military Service Act, 1916 – Military Service Act – Statements as to probable number who have not registered’, STATS1 Box 32/ 23/1/84, ANZ. Of the 187,593 who registered, 819 stated religious or conscientious objections to military service, and a further 260 stated political objections (although a majority of these favoured conscription). 1739 did not sate a reason. See Baker, p.58-63. Ka rawe to mahi e hoa Jared. This is a topic i don’t know much about, thank you.